The Short Diana Double Necklace is bound to be the most versatile piece in her jewelry box. Earthy and glamorous, this design is perfection for the boho beauty in your life. 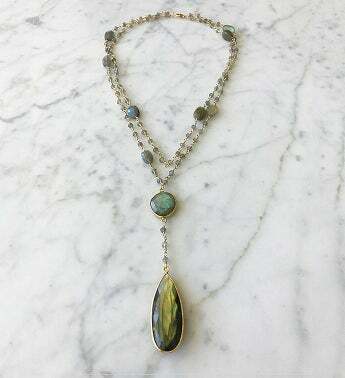 Adjustable can be worn as a looped 16" and 17" chain plus a 3" drop in length from stone to stone or as a straight 32" chain plus a 3" drop from stone to stone.